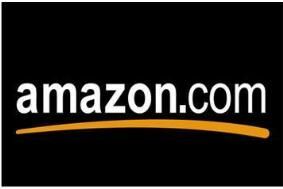 UPDATE: Amazon to offer streaming service to Prime customers? | What Hi-Fi? UPDATE: Amazon to offer streaming service to Prime customers? Amazon has inadvertently let slip the most obvious pointer yet that it plans to offer a flat-rate, unlimited film streaming service. After buying UK company Lovefilm, which has slowly but surely moved from DVD rentals to streaming services, Amazon looks set to offer its Prime customers access to unlimited streaming films. Prime customers currently pay an annual fee of £49 for faster deliveries, free first-class delivery and other benefits. Amazon, the online retailer, has today bought out the remaining 58% stake in Lovefilm it didn't already own for an undisclosed sum. A bid for a full stake in Lovefilm had been on the cards for some time, and today's deal values the DVD rental and online video company at around £200m. Amazon bought a 42% stake in Lovefilm in 2008. "Lovefilm has been innovating on behalf of movie rental customers across Europe for many years and with the advent of the Lovefilm player, they are further delighting customers by streaming digital movies for their immediate enjoyment," said Amazon's vice-president of European retail, Greg Greeley. "Lovefilm and Amazon have enjoyed a strong working relationship since Lovefilm acquired Amazon Europe's DVD rental business in 2008, and we look forward to a productive and innovative future." Since its launch in the UK in 2004, Lovefilm has acquired 1.4 million subscribers across Europe. Last year it began its digital streaming service, which enables viewers to rent and watch films over the internet. An increasing number of consumer electronics companies, such as Sony and Samsung, are including Lovefilm in their internet TV services (IPTV).